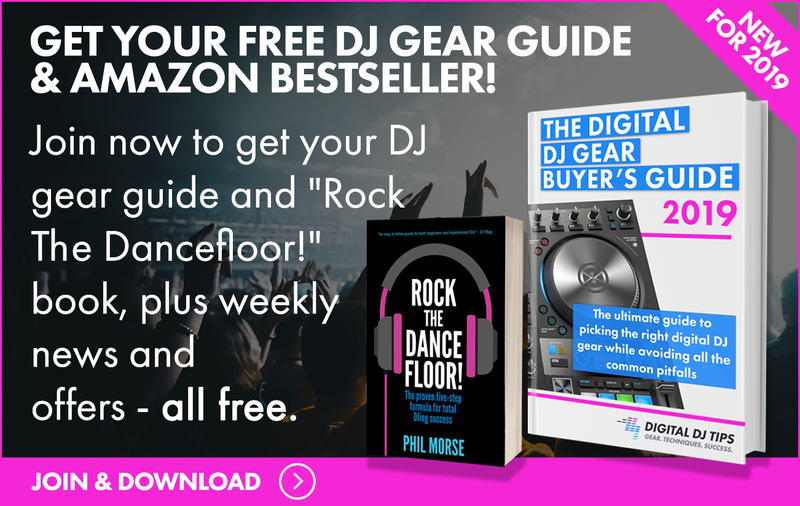 With the release of the Pioneer DJ DDJ-800, potential purchasers of the DDJ-1000 now have a choice to make: Go for the smaller, two channel version, or stick with the four-channel DDJ-1000. 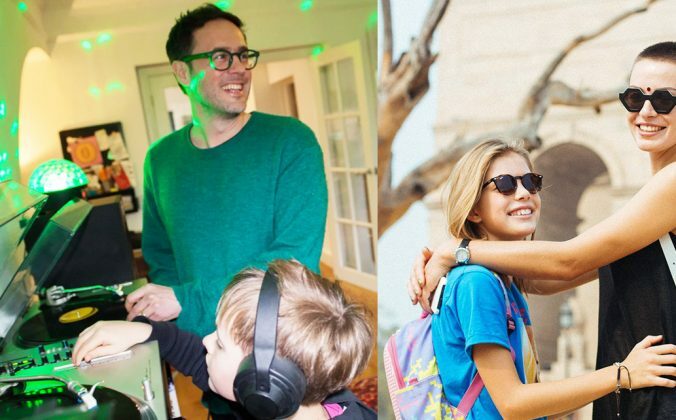 In this article, we'll compare the two to help you make the right decision. 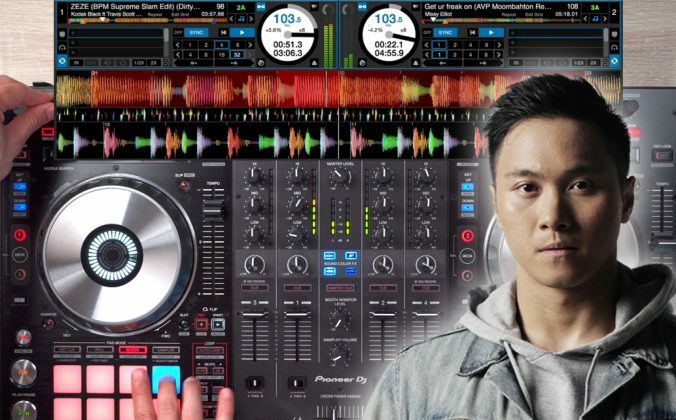 With the announcement of the Pioneer DJ DDJ-800 – a smaller, lighter, cheaper take on the Pioneer DJ DDJ-1000, which is one of the best selling DJ controllers out there in 2019 – Pioneer has given potential purchasers a tricky choice. Want to watch this instead? Head to this recording of our weekly Tuesday Tips Live show, where we talk through all the points in this article and answer additional questions from viewers. To never miss this show, make sure you subscribe to our YouTube channel (and click the notification bell) and Like us on our Facebook Page. Should you go for the DDJ-1000, with its full-sized, straight-from-the-DJ-booth look and feel? Or, choose the smaller, lighter, more middle-of-the-road DDJ-800, which nonetheless still retains the club styling and many of the features of both its older brother and the Nexus club systems that both units are modelled on? In this in-depth article, you’ll get all the info you need to make up your mind. However, in many key areas, there are differences that if you don’t understand them, may mean you make a mistake choosing between the two. The DDJ-1000 is bigger, heavier, pricer, and more fully featured – but might it be overkill for you, now that the DDJ-800 is in town? The most visible difference is in the size and weight of the units. The DDJ-800 is nearly a quarter smaller than the DDJ-1000, and weights 1.3kg (2lb) less, coming in at 4.7kg. This makes it much more portable; while the DDJ-1000 is just about small enough to throw under your arm and move from place to place, the DDJ-800 definitely is. For some that’ll be an advantage, but for others, the heft of the DDJ-1000 is one of the things that makes it appealing: It does feel like “pro” gear, a little more than the DDJ-800 does. 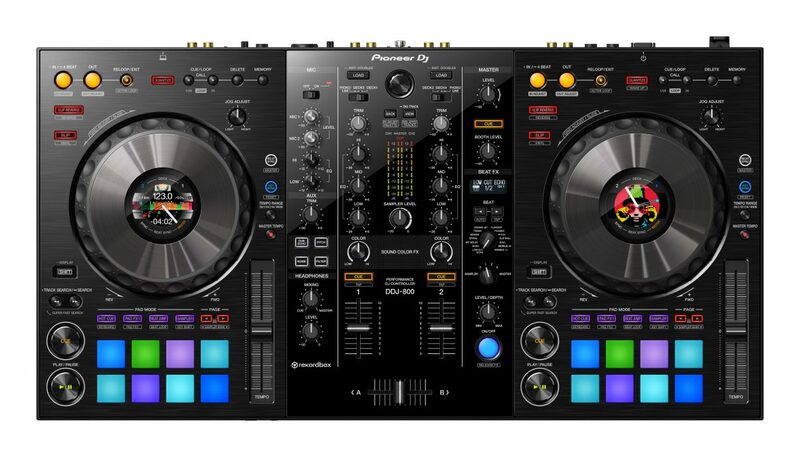 The DDJ-800 only has two decks. It can still control four channels of audio, but it’s not as intuitive or easy as with the DDJ-1000. If four decks is important for you, the DDJ-1000 wins here – but if you rarely or never use decks three and four (and remember, these units have samplers that could be used for audio on top of your two-deck mixing), you’re paying for features you don’t need. 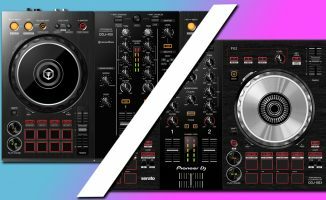 The DDJ-800’s decks and mixer are superficially similar-looking to the DDJ-1000 – but those are a completely different type of jogwheel, and that crossfader isn’t the high quality one fitted on the bigger unit. More than that though, the jogwheels are fundamentally different on these units. 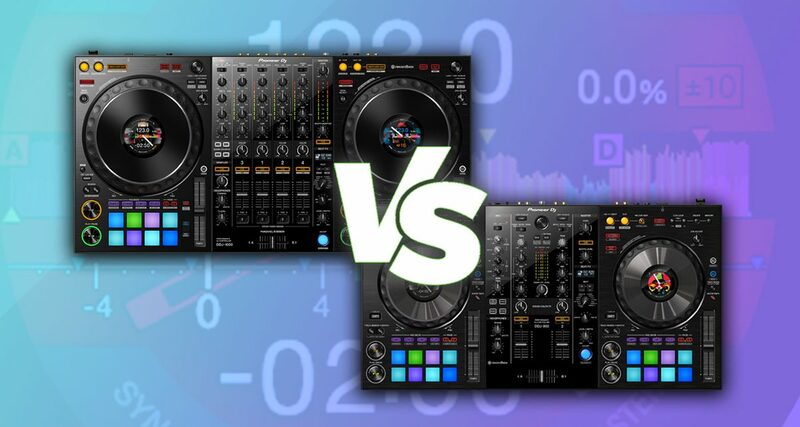 They may look similar, but those on the DDJ-1000 are identical to those on pro DJ gear, with the heavy, mechanical feel most pro DJs are used to. Those on the DDJ-800, however, are smaller, lighter, and “capacitive” – this basically means they are like jogwheels on nearly all other DJ gear. 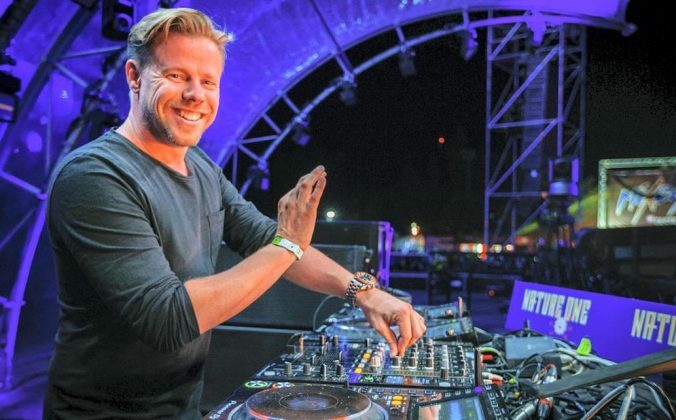 Want to learn how to use this or any Pioneer DJ controller properly? 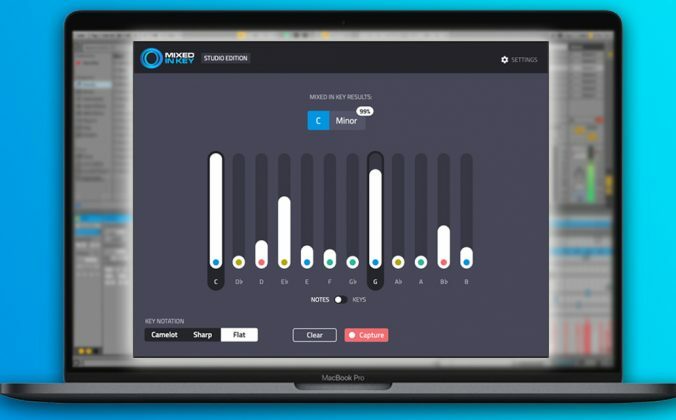 Take our best-selling Rekordbox Made Easy course. Interestingly, though, the jogs on the DDJ-800 do have a tightness adjuster, just like on the DDJ-1000, which is unusual although not unheard of on this type of jogwheel – so like the jogs on the DDJ-1000, you do at least have some adjustment to set them up how you like. 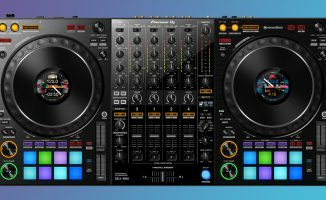 Finally, the decks lose their individual browse knobs and buttons for library functions – these are combined into one in the centre of the mixer. So to the mixer section. First, the crossfader. On the DDJ-1000, it’s a Magvel (high quality, magnetic) crossfader, whereas it appears to be a generic (read: cheaper) crossfader on the DDJ-800. Not an issue unless you’re a serious scratch DJ or heavy user – but the ease of replacement and overall higher quality of the Magvel would give the DDJ-1000 the edge if you are. 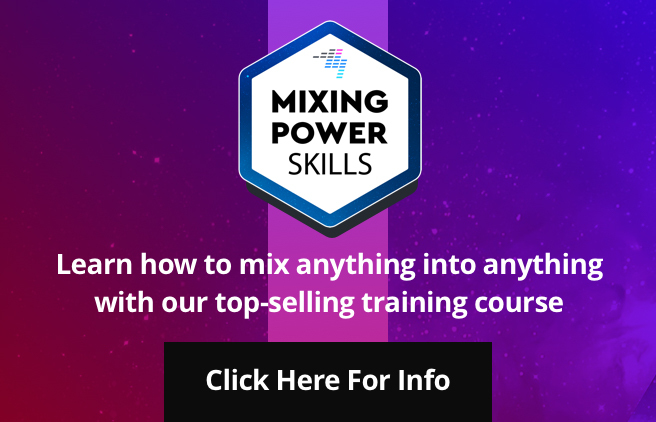 Both mixers are standalone – which means you can use them without the laptop plugged in with your own record decks or CDs, for instance – but obviously, as the DDJ-800 only has two mixer channels, you only get to plug two sources in to mix with. 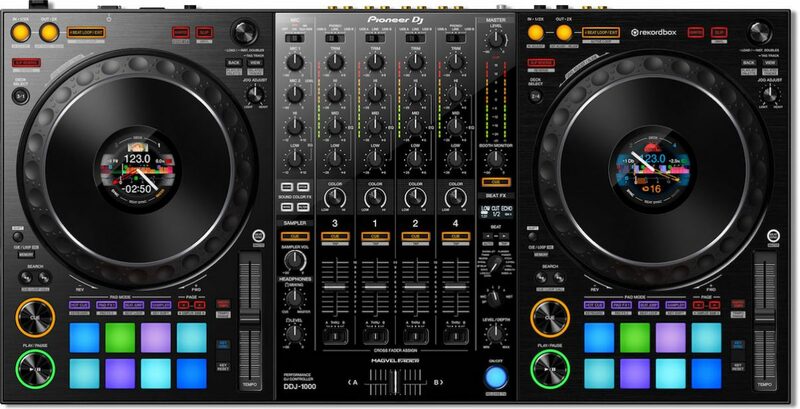 Notice how the layout of the decks and the mixer section of the DDJ-1000 closely copies that of Pioneer pro DJ gear, breaking away from the way DJ controllers have been laid out (by all manufacturers and for all software), especially with regards to FX, until now. That is true of both of these units. Also, a major limitation of the DDJ-800 is that the effects don’t work when the laptop isn’t plugged in. So if you wanted to use it as a mixer without taking your computer along with you, you could, but you’d have no effects at all – not even filters. That’s because the software is doing all the work on the DDJ-800 to make the effects possible, whereas on the DDJ-1000, there is hardware that can do it for you. So if you envisage using it seriously as a standalone mixer, the DDJ-1000 definitely has the edge. Also, you can’t assign the Beat FX to the microphone inputs on the DDJ-800 as you can on the DDJ-1000 – maybe an issue if you have a vocalist who wants effects on their mic, for instance. Only the DDJ-800 has an Aux input (it has a two-setting gain switch on the rear panel which is a nice touch, and a dedicated volume control on the main panel), but as the DDJ-1000 has four full channels of external input any way, this is not really an advantage for the DDJ-800. That said, it’s nice to see it included. One big difference is that the DDJ-1000 has two USB-B sockets so two laptops can plug in at once, for seamless DJ switchovers. As the DDJ-800 only has one, there is no way to switch laptops without stopping the music on the DDJ-800. Obviously if you plan to do this, the ‘1000 has the edge here, as it’d save you having to mix in a track on the Aux input, for instance, from your phone, while switching DJs. While both offer two mic inputs, one of which is “combo mic” socket that can take XLR and 1/4″ jack mics (the other is a 1/4″ jack), only the DDJ-800 has mic attenuators pots – small controls to adjust mic sensitivity around the rear by the sockets. It’s a small thing, but worth pointing out. 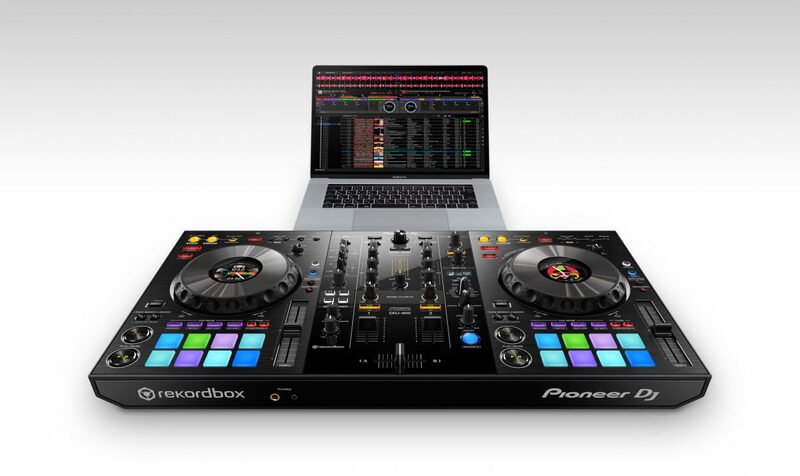 While both work with Windows or Mac computers running Rekordbox DJ (provided), the DDJ-800 will work with Rekordbox installed on any computer, no licence required – you just plug the computer and controller together and off you go. That means a non-Rekordbox owner friend of yours could download the software without paying for it (or owning a Rekordbox unit of their own that came with the software), and simply plug and play with your DDJ-800. 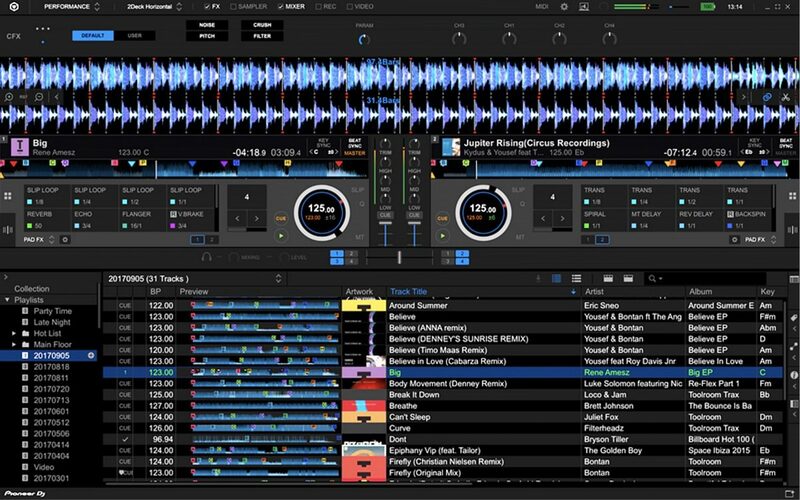 This is how Serato has worked for years, and is convenient – and it’s not available on the DDJ-1000, which needs to work with a copy of Rekordbox that has an activated licence too. The only reason that Pioneer DJ even supplies a licence code in the box with the DDJ-800 is that it means you can use the software in performance mode (ie with decks and mixer showing) without having the controller attached – useful for impromptu keyboard and mouse-controlled DJ sets when you don’t have your controller with you. Also new for the DDJ-800, Pioneer DJ has introduced a software feedback reducer. Indeed, currently, it only works on the DDJ-800, not the DDJ-1000 (although interestingly it works on the DDJ-RR too); presumably this is because the mic inputs on the DDJ-1000 aren’t routed into software at all and so can’t have this applied to them. Until the full review we can’t test how it works, but if a mic feedback reducer appeals, the ‘800 has the edge. So to what it’ll cost you to get on board. The DDJ-1000 has been out for a while now, and the price has settled at $1199 / £1129 / €1299. Various retailers offer deals too, with a free bag being thrown in one of the more common. Meanwhile, the DDJ-800 comes in at $899 / £779 / €949. What price it “settles” at remains to be seen, but you’ll probably have more joy requesting a similar deal to the above (a free case, or cables thrown in) than trying to get the price down lower than that with retailers, at least at first. Interestingly, unless something is evading us in our research, the DDJ-800 looks like far better value in Europe than in the US when compared to the DDJ-1000, so where you are in the world may sway your choice here too. The DDJ-800 is an interesting controller, in that rather than just being a two-channel version of the DDJ-1000, it strips back some of the pro features (mechanical jogwheels, hardware effects, pro crossfader, dual audio interface for two DJs) too. Pioneer DJ has obviously gambled that two-channel users won’t really mind, just like phone companies gamble that smartphone users who want smaller screens maybe aren’t as cutting edge as those who want bigger ones, and so downgrade the specs on such phones accordingly. Either that, or the company just couldn’t keep the price down enough otherwise. Even so, if you were expecting “a DDJ-1000 with two channels”, you’ll likely be a bit disappointed in this unit, especially as the chances of such a unit appearing now are presumably zero. 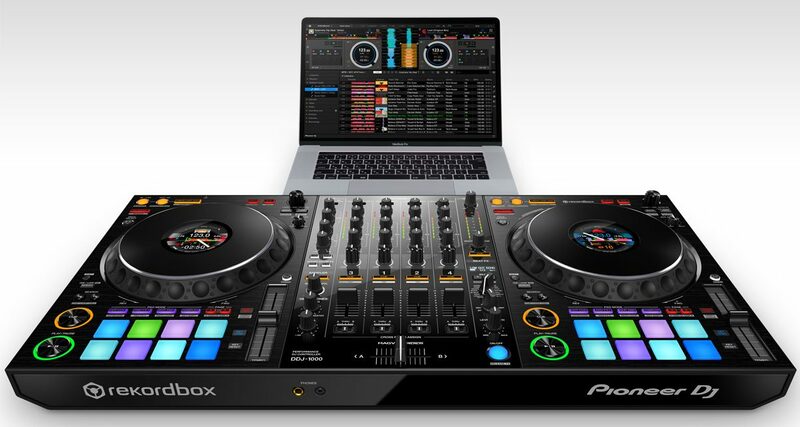 However, if what’s really important to you is the new-style look and feel that Pioneer DJ is bringing to its controllers, and the similarity in layout with both the DDJ-1000 and the pro Nexus club gear, while wanting a unit considerably more advanced and pro-feeling than the beginner-focused DDJ-400, you’re in luck: This unit is it. It’s smaller, lighter, more practical and of course cheaper than the DDJ-1000. It may just be all you need. 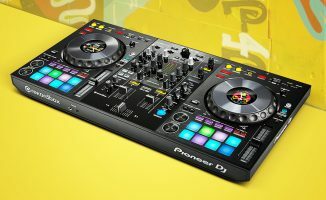 The DDJ-400: Alongside the DDJ-800 and DDJ-1000, it heralds the “new look” for controllers from Pioneer DJ. 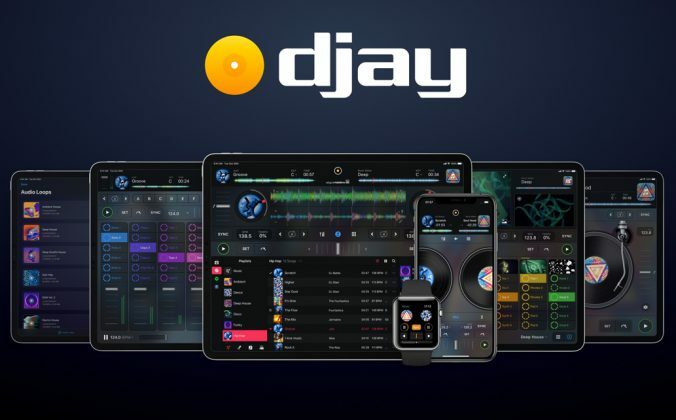 Is a DDJ-600 coming soon too? But back to the DDJ-800 vs DDJ-1000: As long as you’re not a scratch DJ wanting the best performance; don’t plan on frequently spinning with other DJs; plan to always DJ with your laptop; and of course don’t need the extra channels… the DDJ-800 is probably the right choice. But as soon as any of those or the smaller things we’ve identified above start to come into your thoughts, you should thing seriously about saving the extra for the DDJ-1000: It remains the flagship, and will probably be for some time. And as far as the things the DDJ-800 does that the DDJ-1000 doesn’t do, none of them are important enough to have any real affect on your choice. Finally at the time of writing, the DDJ-800 has only just been announced and you may struggle to get one. 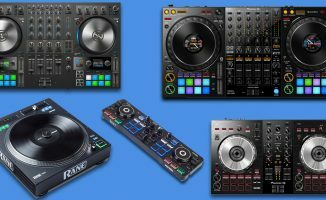 If you want one of these controllers fast, the DDJ-1000 is still a safe bet: It’s not likely to be replaced any time soon in the range, and we think will remain a relevant controller for many years to come. Which will you be going for? Got any questions we haven’t answered? Let us know in the comments below. Really enjoy your articles. I currently own an SX and been wanting to upgrade. The standard where I live is usually the RX, but I’m pretty sure now that I want the DDJ-1000. 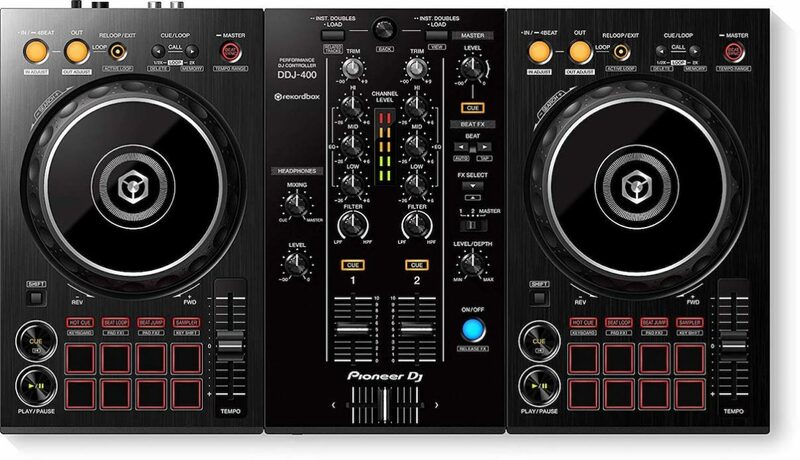 I have two questions: Is a DDJ-1000 2 (version) coming anytime soon? Should I wait or just go for the one available now? I can’t see a v2 any time soon. I think you’re safe to go for it right now Carlos. seems to expensive for me compared to the S4 mk3. The 1000, however, was very cheap at launch until they raised the price last summer. Gone are the 2x browse buttons from the 1000. That shouls have been the standard. Also annoying to see these cheap buttons for play/cue and filter knobs. Other ddj controllers have these in high quality silver! Would have liked for them to keep the larger DDJ-1000/RZ/CDJ-2000 sized jogs on the DDJ-800, and saved the SX sized jogs for the DDJ-600… Otherwise, the DDJ-600 is unnecessary at this point. Not sure but we’re guessing without checking that you can choose in software which you want to use. There is no control of effect parameters in the same way as on your RR here; it reflects the way the effects work on pro club mixers, which also don’t have that type of control. A bit of flexibility is sacrificed for a more immediate, “hands on” feel. According to the specifications the DDJ-800 has a little more distortion and the signal-to-noise ratio is also a little worse. Pretty close to the DDJ-1000 overall though right? There are currently around 20 beat effects available in Rekordbox. However, on these new Pioneer DJ controllers you only have 14 effects to choose from with that single knob on the controller. So what do I do if I want to use the effects that are not represented on the controller itself?